Ready to escape the winter chill? 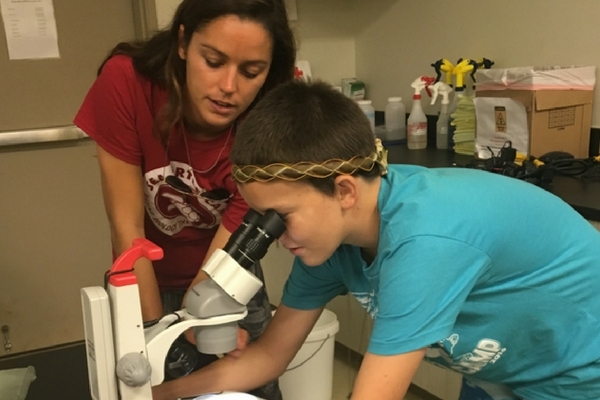 Fast forward to summer by enrolling in a Hawaii Teen Sea Turtle Camp adventure! Join other teens as you learn about sea turtles, other marine species, and explore tropical paradise! Experience college life, as you spend your nights staying in the dorms at the University of Hawaii Manoa. You’ll spend your days working with marine life at Sea Life Park Hawaii, which has an an active sea turtle breeding program on-site. You’ll assist Sea Life Park staff with sea turtle research and data collection and you may even get to see sea turtle hatchlings, before they’re released into the wild! Learn about dolphins, sea lions, tropical fish, birds and invertebrates as you participate in hands-on activities. You’ll also get tips from marine mammal trainers, go swimming with rays, meet a marine veterinarian, and learn about careers in marine science. When not at the Sea Life Park, you’ll explore all the island of Oahu has to offer. Immerse yourself in the local culture as you hike to local landmarks, surf the North Shore, try your hand at paddleboarding, snorkel over beautiful coral reefs, visit a coffee farm, pineapple plantation, and even dine at an authentic Hawaiian luau! You’ll also participate in service learning, volunteering with a local organization to conduct a beach clean-up, doing your part to help stop the stream of marine debris into our oceans. Ready to jump into a Hawaiian adventure next summer? 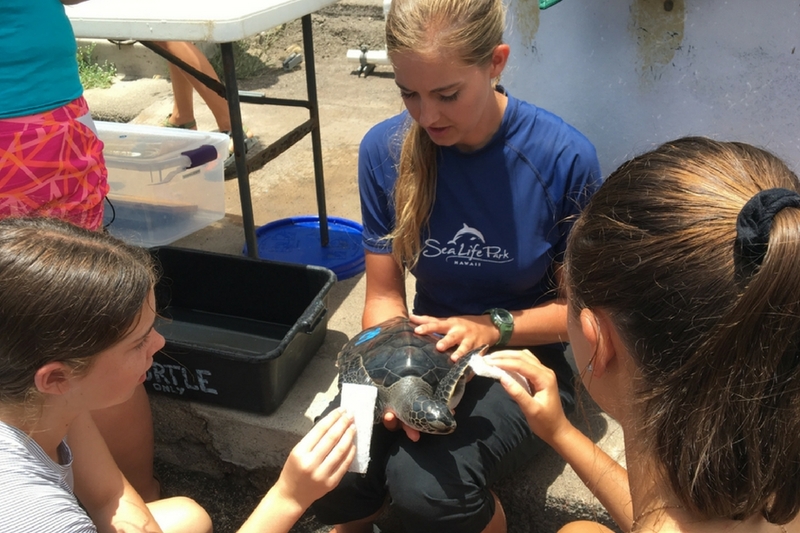 Spots in our Sea Turtle Camp sessions fill up fast, so secure your bunk- Enroll today! We offer online enrollment, or for a more personalized enrollment process please contact our office at info@seaturtlecamp.com or 910-686-4611. We would love to answer your questions!